The Story of Two Halves! Following the recent publication of this year’s figures for the number of women on boards of UK’s FTSE 100 and FTSE 250 companies, one of the country’s leading experts in the area of women in leadership has spoken of her mixed feelings over “the story of two halves”. 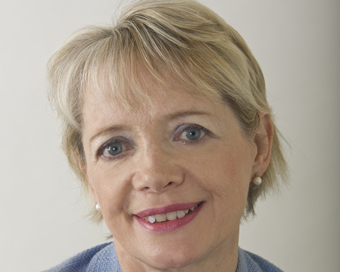 Professor Sue Vinnicombe CBE, Professor of Women and Leadership at Cranfield School of Management (pictured), said: “It is encouraging to see that the trend continues to be upwards on the FTSE 100, with increased representation for women on the boards of these leading companies. Progress is slow but steady, and we remain on track to reach 33% of women on boards by 2020 as long as the current momentum is maintained. Professor Vinnicombe is a familiar face to WMB – she has spoken on a number of occasions over the years at our annual Women Mean Business Conference in Dublin. Susan is regarded as the premier research resource on women directors in the UK and is renowned globally in this field. She was a member of the Davies Steering Committee from 2010 to 2015 and has served on the Advisory Board of the Hampton-Alexander Review. From 1999 until the Government launched the Hampton-Alexander Review in 2017, Cranfield University’s International Centre for Women Leaders provided the annual measure of the number of women executive directors on the corporate boards of the UK’s top companies. Cranfield continues to work closely with the Hampton-Alexander Review, and produces its own annual analysis – the Female FTSE Board Report sponsored this year by Aviva. Figures released last week by UK’s Hampton-Alexander Review show 29% of FTSE 100 board positions are held by women. Therefore, firms are on track to reach the UK’s government-backed target of 33% of board positions going to women by 2020 but FTSE 350 may fall short. At the halfway point of Hampton-Alexander Review, figures show that a quarter of FTSE 350 board positions are held by women, but there remains 10 all-male boards! Nearly half of all available board appointments in the run up to 2020 will therefore now need to go to women if the FTSE 350 are to meet the target!